Constable Teresa Ollen-Bittle again this year organized a family sponsorship through the Norfolk OPP Simcoe Detachment. Participating in the sponsorship were the officers, office staff, civilians and members of the community help to fill the wishes of four families in need this Christmas. 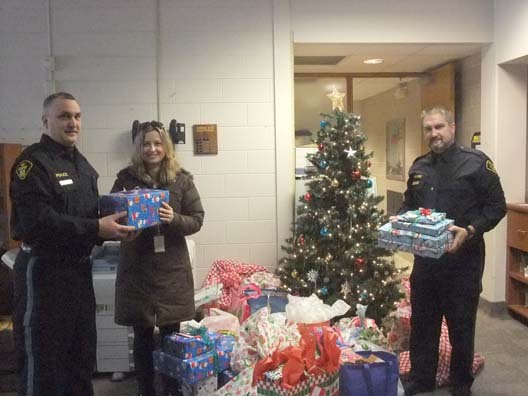 Shown in the photo is Constables Stan Goch and Brad Gregovski presenting the gifts to worker Cheryl Crawford.